We offer back-end revenue cycle management services by assisting provider organizations with identifying payer problems, coding errors, registration errors and offering expert claim, ERA and scripting solutions. Independent Compliance Experts offers a way for group practices to find an affordable, efficient and secure solution to electronic claims creation with submission to your clearinghouse of choice. We work with all clearinghouses, national and regional, so you can choose a clearinghouse that offers the features you need. Independent Compliance provides the necessary skills and services to create accurate and compliant claim files as well as auto-posting ERA tools for a faster cycle time for all GE Healthcare, Group Management customers. Our unique and robust posting tools allow you to view 999 files from direct payers, post rejections and denials, create and store EOB’s, auto-posting of patient payments, as well as posting 277 claim status. We charge no monthly maintenance fees or format fees for claim submissions or claim support. 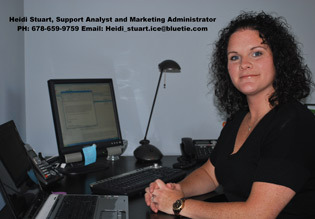 Estimates are provided for hourly consulting and formatting and support is available on demand. We are Billing Experts and consultants helping our GE customers reduce costs by improving efficiency and accuracy in the claims billing cycle. Our primary deliverable is claims engineering services for 837 X12 P, 837 X12 I, Proprietary formats, 835 X12, 277U and bank remittance for IDX Groupcast and GE Centricity Customers /Users. We offer back-end revenue cycle management services by assisting provider organizations with identifying payer problems, coding errors, registration errors and offering expert claim solutions. We communicate and collaborate with other analysts, engineers, programmers and as necessary to obtain information on project limitations and capabilities, performance requirements, interfaces, upgrades and other company initiatives. We specifically specialize in creating new e-paper claim formats, HCFA and UB92, X12- EDI (electronic data interchange) by coding payer requirements using the GE proprietary formatting tools. We license cross practice software that will create paper EOB’s from X12 files and autopost electronic payer payments and adjustments as well as patient payments directly in the software while reconciling with EFT. We deliver new communications scripts to send electronic data and claims, ERA, statements, and other output files to clearinghouses or end payers, using AIX, TERM, PERL, FTP scripting programs. We also provide ongoing business/ support services for traditional X12 835 remittance advice, parsing the payer files, creating reports, and posting in GE, Group Management. We are available to visit customer sites as requested to provide support services, training services, design consulting. Post electronic payments quickly and accurately. Custom logic to post electronic payments that fit business needs. Create printable EOB files from X12 835 files. STOP WAITING FOR MAIL AND BYPASS THE LOCKBOX!!! THE ERA/EFT MANDATE PROVIDES A GREAT OPPORTUNITY TO APPLY BEST PRACTICES AND ACHIEVE ADMIN EFFICIENCY WITH IPAY POSTING TOOLS! IPAY posting tools allow for cross practice ERA/EFT management, as well as viewing and printing of EOB's in Group Management from an 835 file! IPAY Provides web based file management and reconciliation of 835 files from all payers and archives data files! IPAY Automatically posts remittance payments and adjustments from any 835 file to Billing System including patient payments from your patient portal! Copyright © 2010 ICE Claimsolutions.